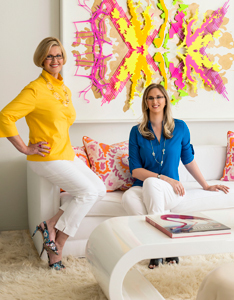 Mary Anne Smiley strives for the “wow factor” in every design project. “My favorite aspect of design is when my clients say, “Wow, I just love it!” “Layer upon layer” describes her approach to the design process. Smiley believes that focusing on each individual aspect in a well-planned order produces the best results. Smiley starts with the structural aspect of a project and applies her AutoCad capabilities to ensure a firm foundation of well-designed space. Next, lighting is chosen to enhance the space, create ambiance, and set the stage for the perfect selection of luxurious fabrics and materials. She finishes each project with well-chosen art and appropriate accessories.